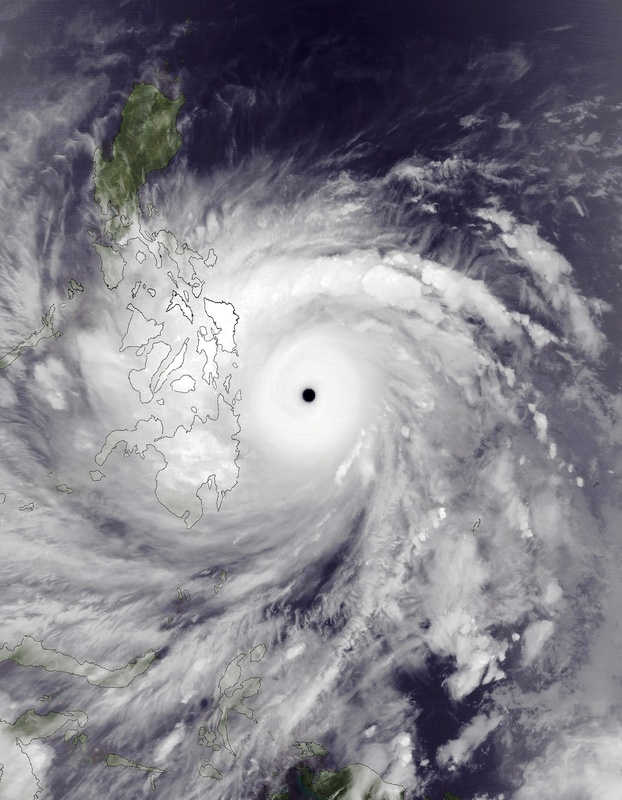 On November 2013, Typhoon Haiyan made landfall in Guian, Samar becoming the strongest typhoon ever recorded, with sustained winds recorded up to 315 km/hour. 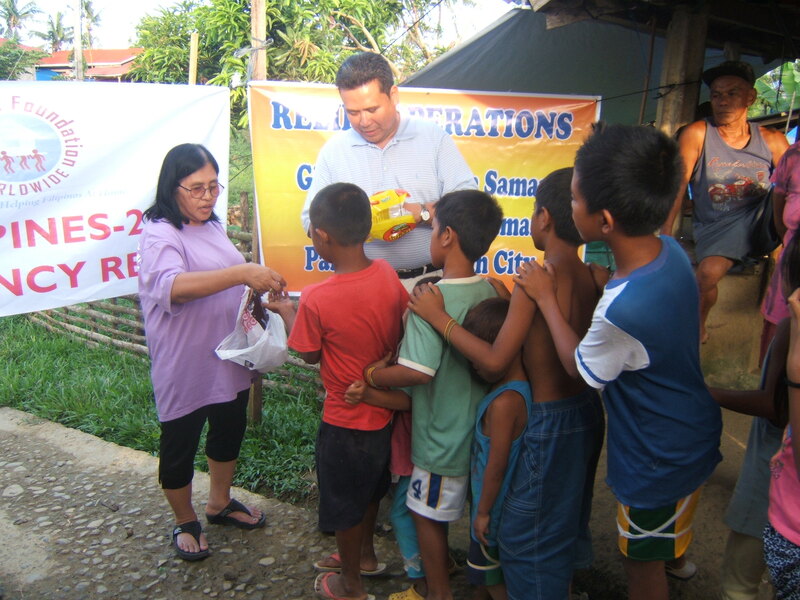 By August 2014, I had visited Leyte and Samar three times and handed out 12,000 emergency food relief packages worth over $15,000 to far-flung barangays (villages) including providing food relief packages to street children scavenging on a garbage dump in Tacloban, Leyte. 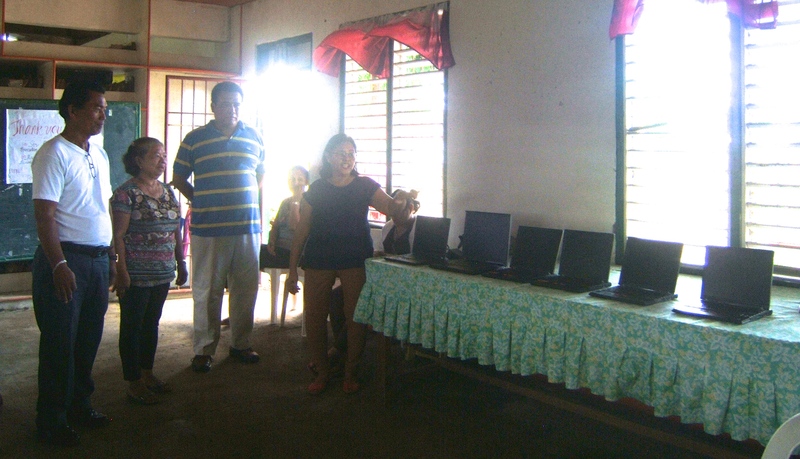 In August 2014, the Foundation donated ten used laptop computers and ten used desktop computers to Giporlos, Samar, donations courtesy of Will Dix, Linda Jamrozy and other donors like you. 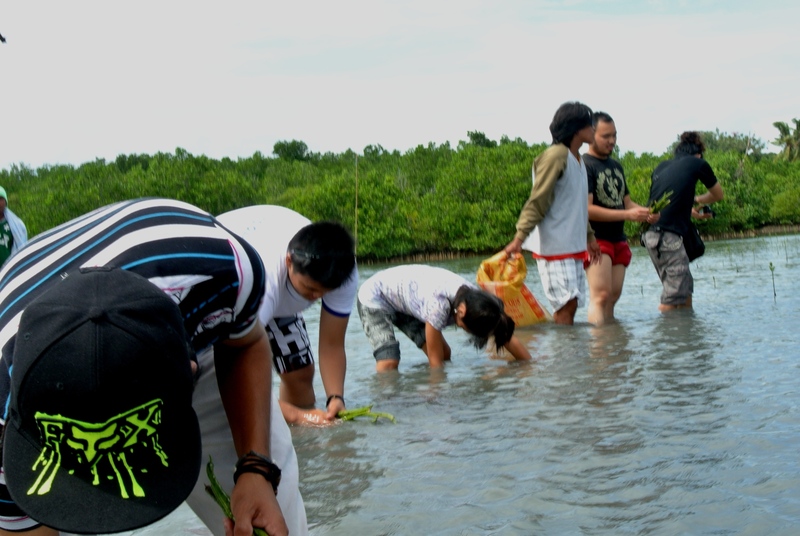 Since 2011, James Castillo and other donors like you have supported youth environmental education for hundreds of youth in Cebu, planting over 10,000 mangrove trees to promote long-term sustainability and positive climate change. In August 2014, the Foundation built two latrines for 4,000 schoolchildren in Iligan, Philippines in partnership with Rotary Chicago Far North. 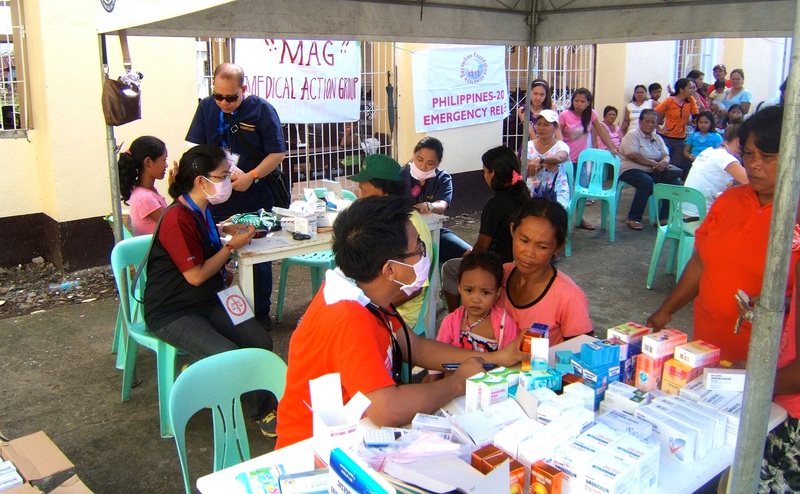 In 2015, foundation plans to build 1,200 latrines in partnership with Rotary clubs, the Samar Health Office and the local government. 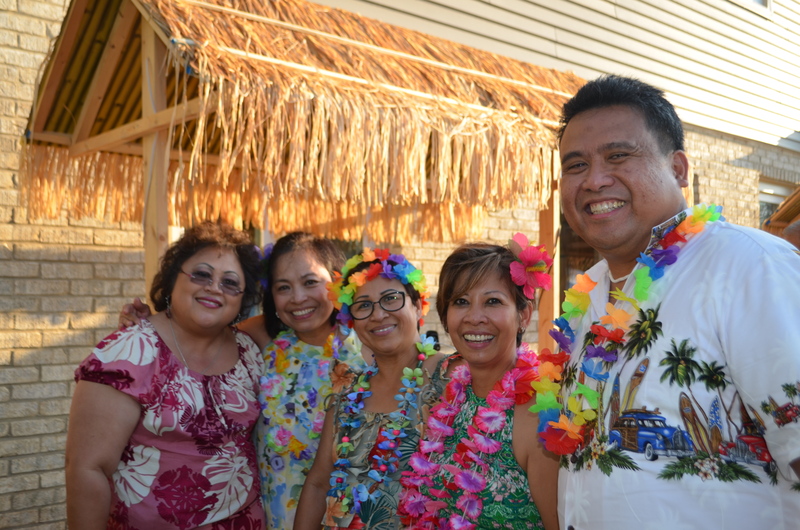 In October 2014, ‘The Adorables’ (Carminda Aldeza, Dr. Dorothy Anoina, Aurora Gagni and Eva Torres) held a fundraising party to build a hospital lobby in Calamba in memory of the late Peter Aldeza, a native of Calamba living in the US. It’s a testament of Filipinos working together. Although we have made major gains, I would like you to stay with the Philippines and continue your support for long-term sustainability. Would you be able to help the Foundation build on its successes? 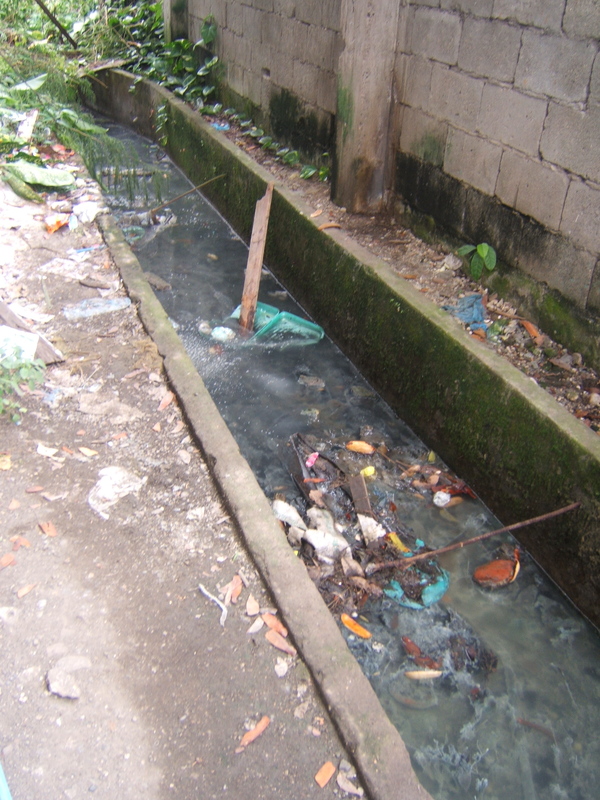 The Foundation is also working on other issues including advocating for Filipino Amerasians and the cleanup of former US military bases. Your donation of any amount will go a long way. Would you consider donating $25? It will provide continued recovery in areas hit hard by Typhoon Yolanda or help Board member James Castillo led a campaign to help children plant thousands of mangrove seedlings to support long-term recovery efforts including permaculture. Would you donate $50 to help conduct one educational workshop on youth and sustainability? In 2015, the Foundation plans to build 1,200 public and private latrines in Eastern Samar to contribute to the UNICEF WASH efforts of ‘zero open defecation’ for long-term health. Would you donate $100 to build one latrine, end open defecation and promote hygiene? 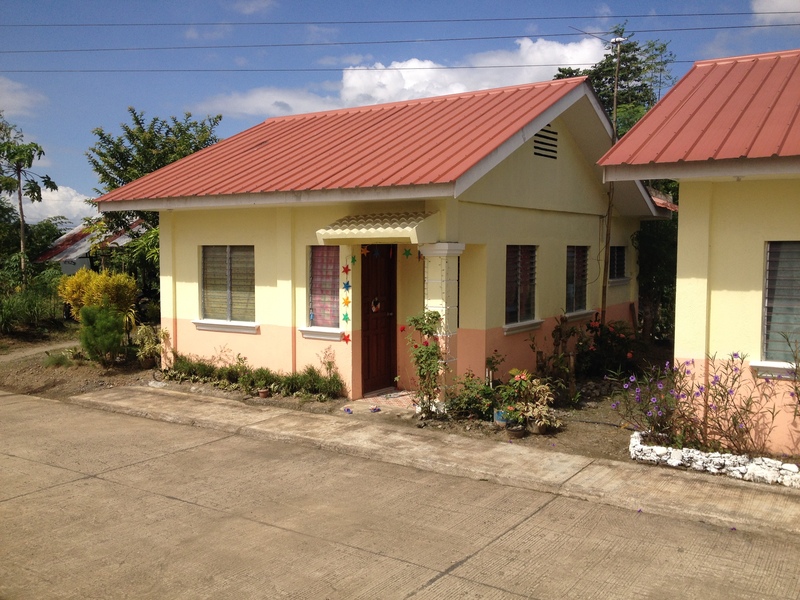 Would you donate $500 to build an additional home for low-income families in Dingle, Iloilo? You can send your donations directly to Bayanihan Foundation 2020 N. California Ave. Suite 7 Chicago, IL 60647. You can also donate securely online through PayPal at www.fdnbayanihan.org Remember, 97% of your donation directly goes directly to our projects. Maraming Salamat! Thank you again for your continued support. 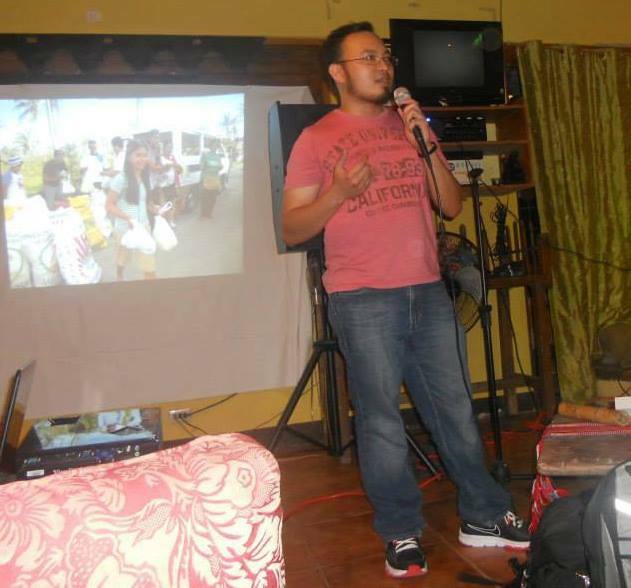 This entry was posted in Diaspora Donors, Diaspora Giving, Philippines and tagged diaspora giving, philanthropy, Philippine giving, typhoon Haiyan. Bookmark the permalink. Thansk for the information Sir. Congrats for the support to Filipiono communities! Maraming salamat po! Thank you for the positive comment. Best wishes also to you and your work with the Worldwide Filipino Alliance (WFA).